I am grateful to Dominic Regan for sending me a copy of the judgment of Mrs Justice Andrews today in Gee -v- Depuy International Ltd  EWHC 1208. The judgment is 762 paragraphs long and will be widely read by product litigation lawyers. As ever, however, I am primarily interested in evidential issues. The judgment contains reference to two issues that have become almost commonplace in this type of litigation: adversarial experts and witnesses who were bemused at the contents of their own witness statements – something of interest to all lawyers. 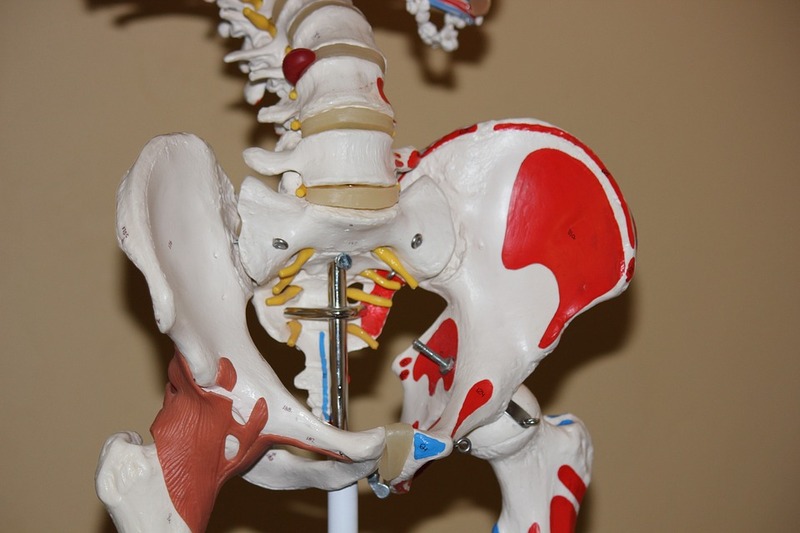 The claimants brought an action against the defendant manufacturers of hip implants – the Pinncale Ultamet Prosthesis. The claims were wide ranging and – ultimately – unsuccessful. The judge reviewed the evidence of the claimants. She was concerned. 502. Before doing so, I must record my concerns about the contents of the witness statements. Five of the lead claimants gave evidence orally, some via video link. It was apparent that they were all truthful witnesses who were trying their best to remember events that had taken place a long time ago. However, their evidence to the Court about the impact on them of the revision (or re-revision) surgery was often very different from the content of their witness statements, which tended to suggest considerable impairment and continuing pain. When they were asked to provide an explanation for this they were unable to do so. To give but one example, Mrs Garratt’s witness statement described the effect of her “injuries” as “devastating and life changing” although the claimants’ orthopaedic expert in her case, Mr Smith, agreed at trial that by 2014 there did not seem to be any significant ongoing problems, and this was borne out by her medical notes. When Mrs Garratt was asked in cross- examination what she meant by this part of her evidence, she said she did not know. Some doctors appeared as witnesses of fact. The judge was critical of some of the doctors who made witness statements. 610. Mrs Stalker, who is now aged 87, was too unwell to give evidence orally at trial, even via a video link. Her witness statement, signed on 6 December 2016, was therefore admitted under the Civil Evidence Act, but its contents were not agreed. The Court heard evidence from the orthopaedic surgeon who performed both the original and the revision operation on Mrs Stalker, Mr Antoni Nargol, to whom reference has been made earlier in this judgment. Mr Nargol is an experienced surgeon specialising in hip replacement and revision surgery. He has performed many MoM revision operations – he said, over 400 in the last 8 years. It came to light at a much later stage in the trial that he was the most prevalent of the “outlier” surgeons identified in the NJR He contributed to some of the scientific research papers that were referred to in this litigation. 611. Mr Nargol has been called as an expert on behalf of claimants suing DePuy in other jurisdictions, and he has also acted as a paid consultant to claimants in MoM. These matters were properly disclosed in his witness statement. However, he failed to disclose, until it was elicited in cross-examination, that he had also actedas a paid consultant for claimants in the current litigation (though not for Mrs Stalker’s case). I was not unduly concerned by this, even though he should have mentioned it, but unfortunately it was far from the only point of justifiable criticism that was made by DePuy about his evidence. 612, Mr Nargol’s witness statement contained a transcription of a copy of his handwritten note of the revision operation, which had been overwritten by an unidentified person. He said in his witness statement, signed in the usual way with a statement of truth, that he had “inspected the original operation note”. In juxtaposition with the transcription in the witness statement, this reinforced the misleading impression that the transcription was an accurate one. In later correspondence, Mrs Stalker’s solicitors said that Mr Nargol had been dissatisfied with the overwritten copy document and had retrieved the original handwritten note from the Nuffield Hospital before he signed his statement. 615. In any event, it does not afford an explanation, as Mr Nargol was plainly able to decipher the original sufficiently to appreciate the inaccuracy of the transcription in the witness statement shortly before he came to give his oral evidence. Either he did not check the original operation note before he made his statement, as he said he had, or any check was so perfunctory that he did not appreciate that the transcription was inaccurate, or he did not consider the differences to be worthy of correction. The transcription in his witness statement of his note of the primary operation was also inaccurate, though the error did not materially affect the gist of what was recorded. At its lowest, Mr Nargol was careless about the content of a witness statement to which he was prepared to append a signed statement of truth. That led me to have concerns about his appreciation of the importance of accuracy, both in terms of making records and in terms of giving evidence. 616. The inaccuracy of the original transcription and the attempt to explain away the inaccurate witness statement pale into insignificance, however, when compared with Mr Nargol’s general presentation as a witness, which was markedly different from that of the other operating surgeons who gave factual evidence. When faced with contemporaneous evidence that did not support Mrs Stalker’s case, Mr Nargol was evasive or tried to explain it away; he also sought to bolster evidence he plainly believed to be helpful to her. In either case, he sometimes volunteered explanations that flew in the face of the contemporaneous documents, and that were not in his witness statement. 617, Mr Nargol’s witness statement is dated 8 December 2016. In it he stated that he had some independent recall of Mrs Stalker’s case but in the main he was reliant on what appeared in the medical records. He said that where he had a specific recollection he would make it clear. Unfortunately, on those occasions when he sought to draw on such “specific recollections” in his oral evidence, on the most benevolent interpretation of that evidence, he appeared to be reconstructing what he thought must have happened. He was dismissive of any views that did not coincide with his. He was also prone to expressing himself in overly dramatic terms. 618. It may be that Mr Nargol’s behaviour in the witness box was, at least in part, driven by a desire to defend his decision to operate on Mrs Stalker, and his diagnosis of ARMD on the flimsiest of grounds, but that does not excuse it. I found Mr Nargol to be, in many respects, a witness on whose evidence the Court could not safely place any weight. His unreliability has complicated the Court’s task of ascertaining whether, on the balance of probabilities, Mrs Stalker did suffer from ARMD. However bad an impression he made in the witness box, it does not mean that he is not a good surgeon. 619. Matters were not made any easier by the fact that the claimants’ orthopaedic expert in this case was Professor Kay, who, whilst undoubtedly very knowledgeable, and generally quite fair, on a few occasions descended into the arena as an enthusiastic advocate for his clients’ case. At times, he tried to anticipate the questions in cross- examination and get his retaliation in first. For those reasons, I was driven to treat his evidence with some caution, although most of the time he made concessions where appropriate and gave sound reasons to justify his opinions. I had no similar reservations about any of the other orthopaedic experts, irrespective of who called them, though Mr Smith’s oral evidence was an improvement on his written reports. Of all the lead claims, I found this by far the most difficult to determine.